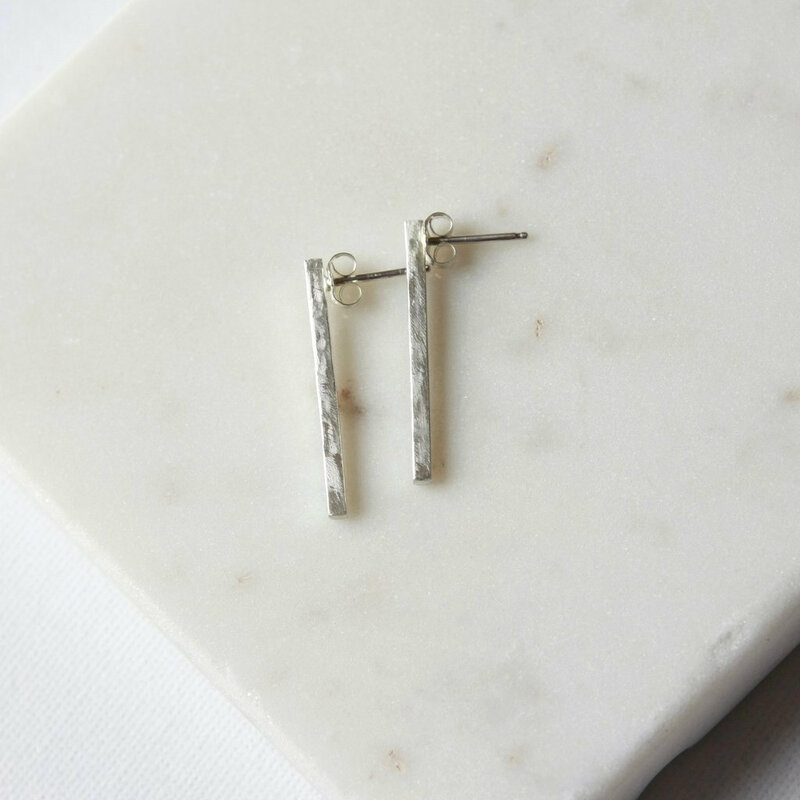 A classic style with a modern vibe - these sleek sterling silver bar studs complement any look from dressy to casual. 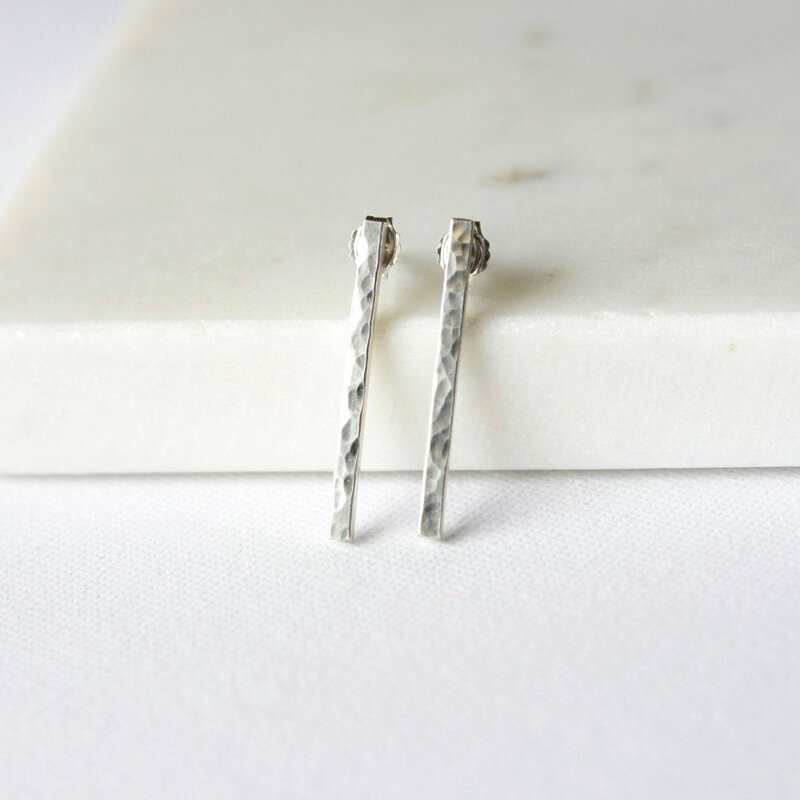 They are made with sterling silver rectangle wire that has been hammered for texture and shine. 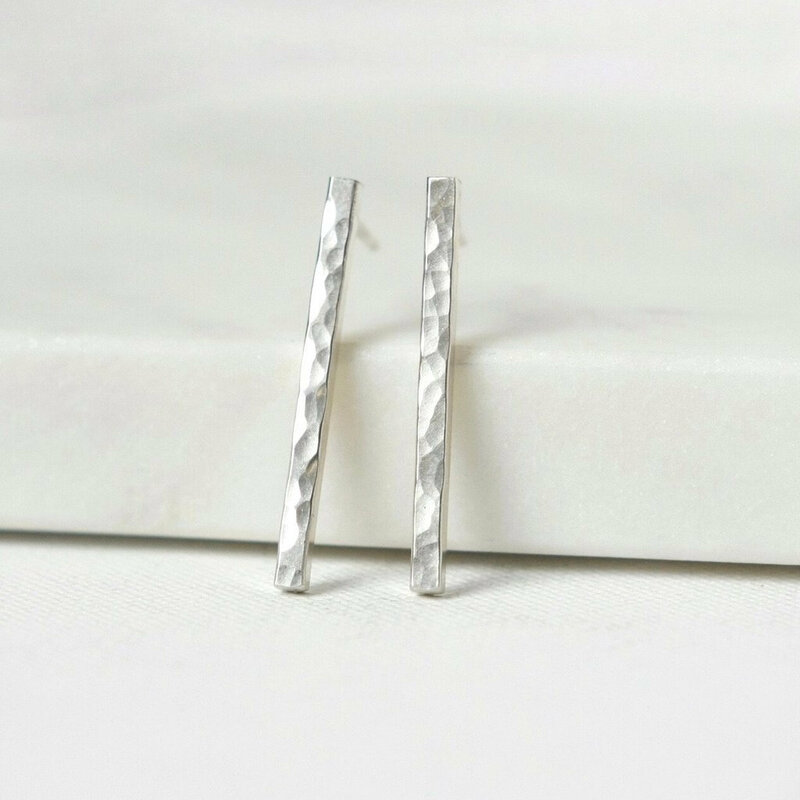 I've soldered sterling silver posts on to them and they are secured with sterling silver butterfly backings. 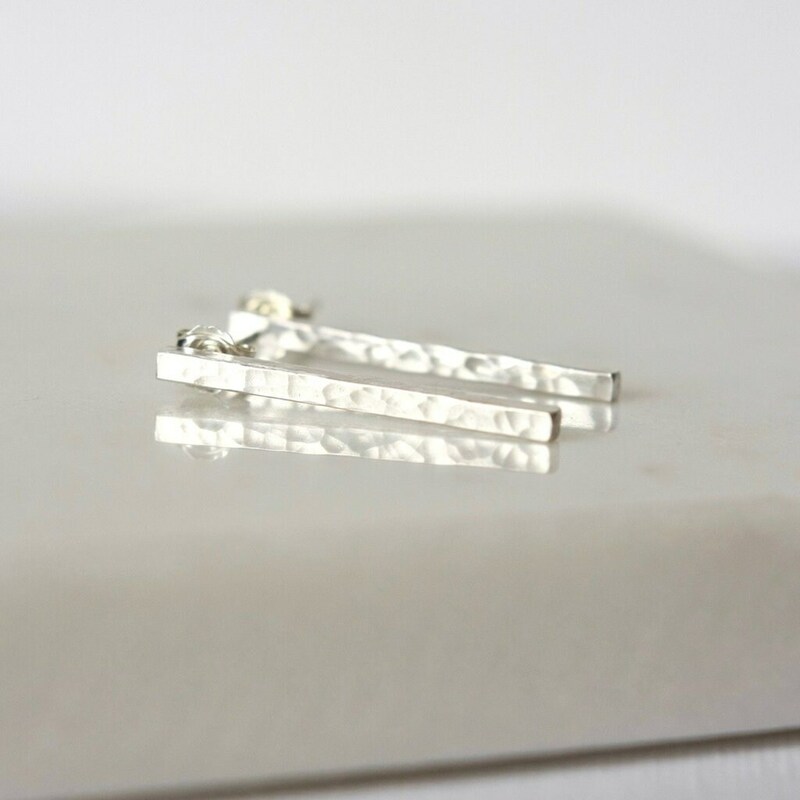 The earrings are about 28mm long and 3mm wide. 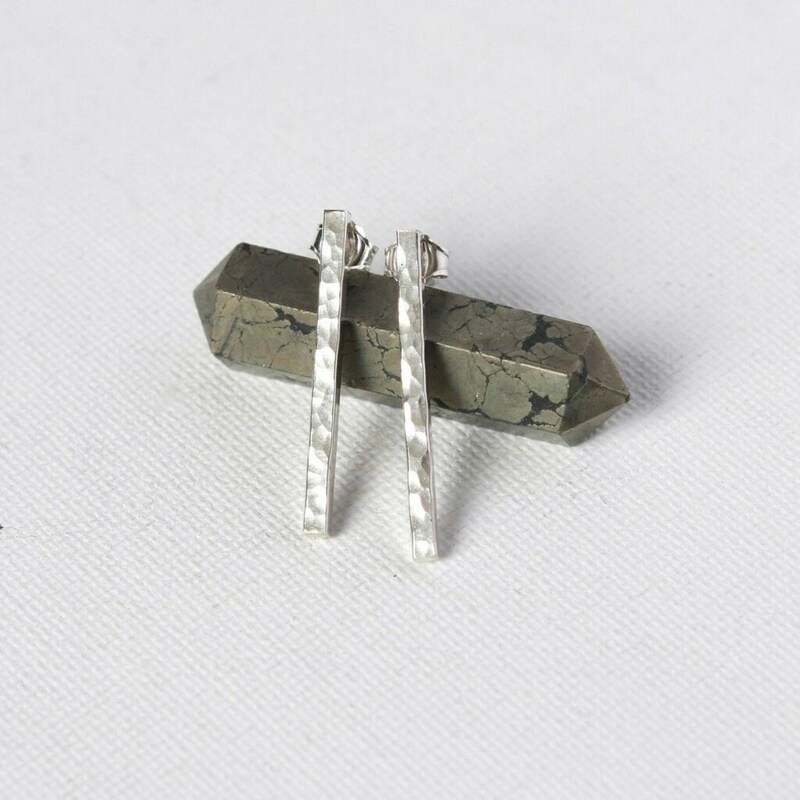 These are contemporary yet boast a timeless style!